Here’s the latest summer song from Brad Paisley. The millionaires out there can have their money. They can’t buy themselves fun and that’s what this song is all about. Tell the boss to kiss off for the weekend and kick it on the river bank with your buddies this weekend. Here is the new song from Brad Paisley and it’s out just in time for summer. Brad Paisley just keeps cranking out the hits. There is some familiarity on this one, but it also has some new sounds to it. Brad has released a string of more serious songs over the last few years, but this one gets to back to the fun loving spirit that people loved. This song has a lot going on. There are all kinds of songs clinking and clanging around. You really feel like you’re heading off to the river with a few friends. You might just sit on the bank with the cooler and toss the football around or you might jump in the river and float for a few hours. There really is not a better setting during the hot summer months on a Saturday afternoon. It’s where you want to be and this is the kind of music you want to listen. And there’s plenty of Brad Paisley signature twang to go along with it all. I loved this song the first time I heard it on the radio!!!! 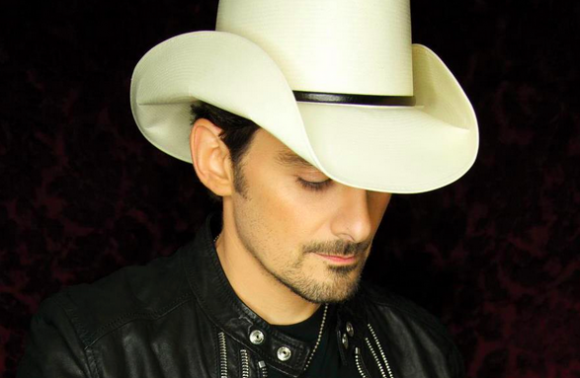 Wonderful !The best of the best country singer !I love BRAD PAISLEY ! I absolutely love this song and have since the first time I heard it!!!! I am going to have to get this song on my phone!! !